We offer a company 10-year guarantee, with a back-up guarantee which covers the Client in the event of insolvency of the Contractor. The guarantee was set up by the National Federation of Roofing Contractors and the Insolvency Guarantee by a Leading Insurance Company, setting out strict guidelines, stipulating that the materials and works must comply with a British Standard Code of Practice. What happens if I do not have Insurance Backing? Ideally, your chosen contractor will always be there to respond to any problems that may arise over the next 10 years and he would remedy the work. However, experience shows that many contractors will fail for several reasons, principally financial failure. If you do not have an Insurance Backed Guarantee then you may incur substantial costs in the future if faults occur in the works. 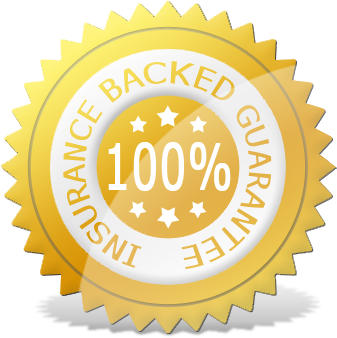 Our Insurance Backed Guarantees are provided through Competent Roofer and Quality Assured National Warranties (QANW). QANW have been the leading UK provider of Insurance Backed Guarantees for over a decade and during that time have forged strong relationships with the National Federation of Roofing Contractors (NFRC) and its Members.